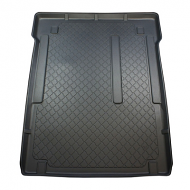 FIAT SCUDO BOOT LINER COMES WITH ANTI SLIP. The boot liner has lipped edges that follow the contour of the boot. Ensuring protection of your car.